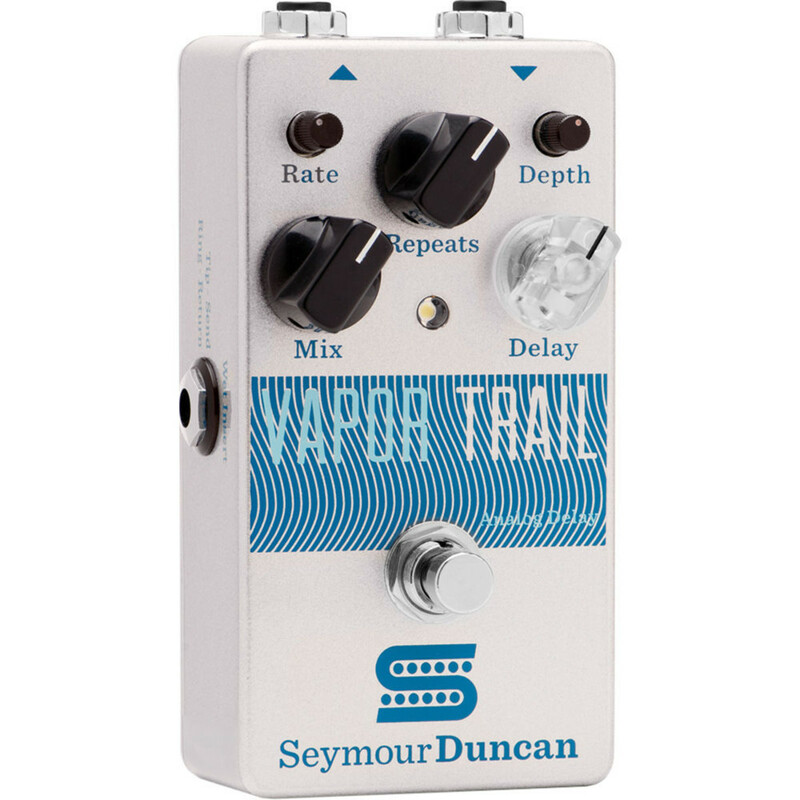 The Seymour Duncan Vapor Trail is a true analog Delay Pedal with an authentic, vintage sound full of warmth and depth. 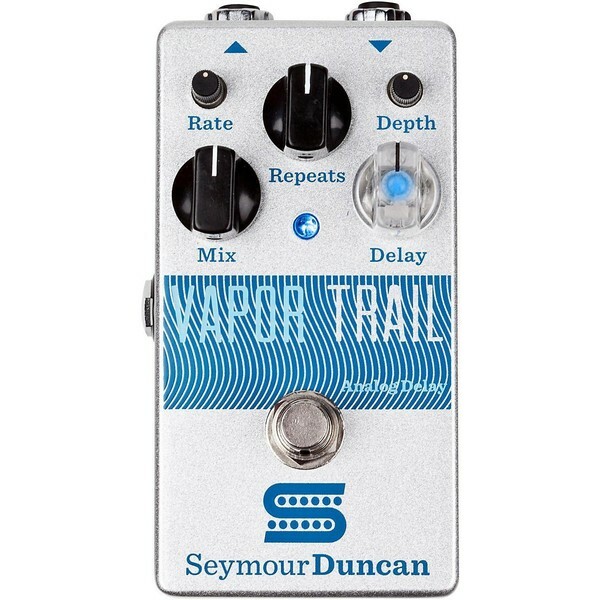 With easy to use controls includinga flashing LED Delay knovb and a range of sounds from slap-back delay, light modulations and the classic rotating speaker vibe you've got everything you need right at your feet. 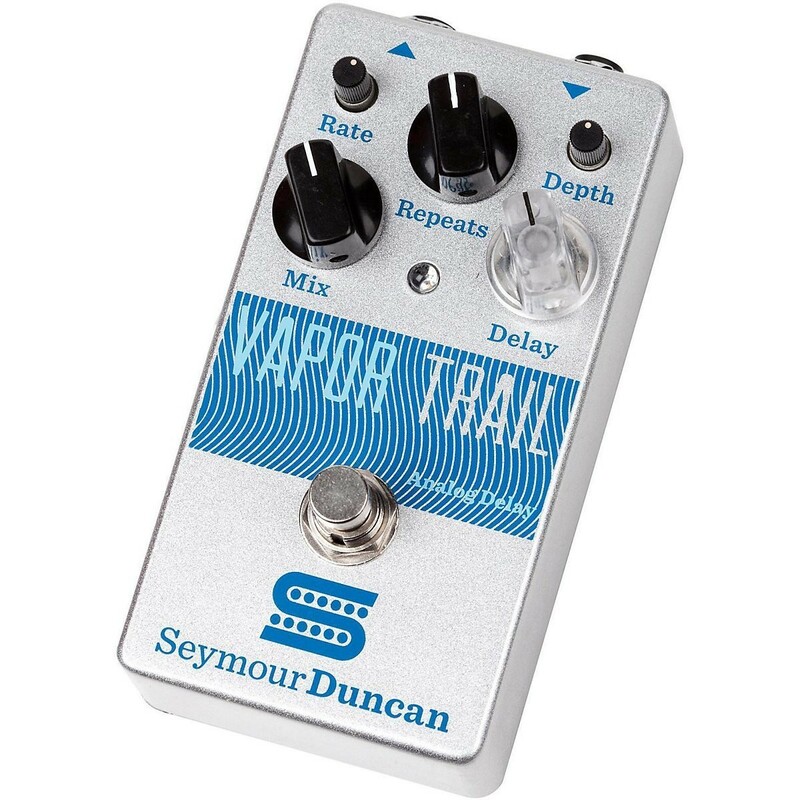 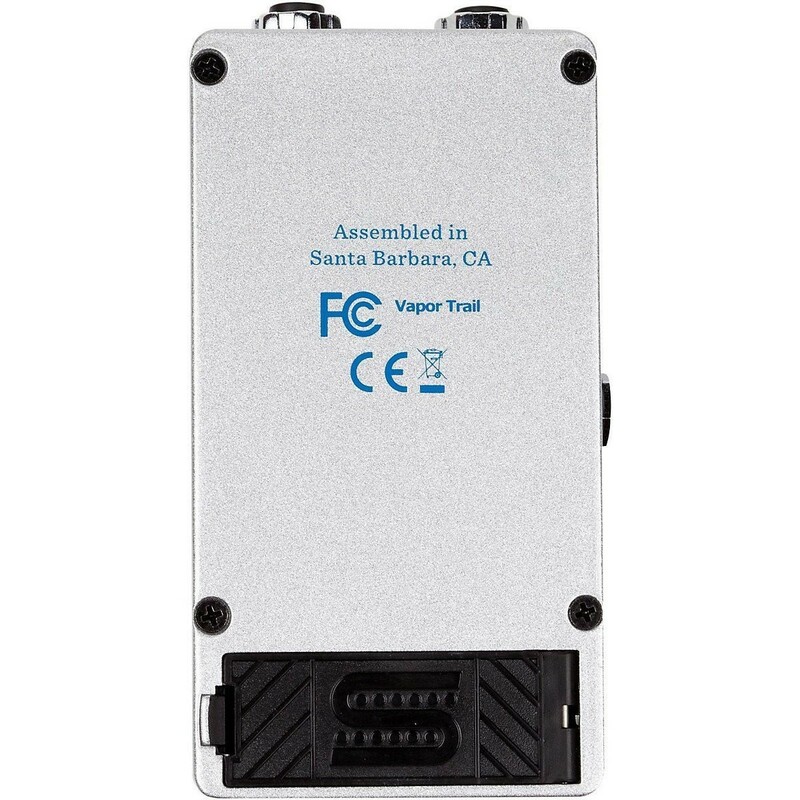 The tone also has a string clarity which prevents your sound from getting lost in the mix. 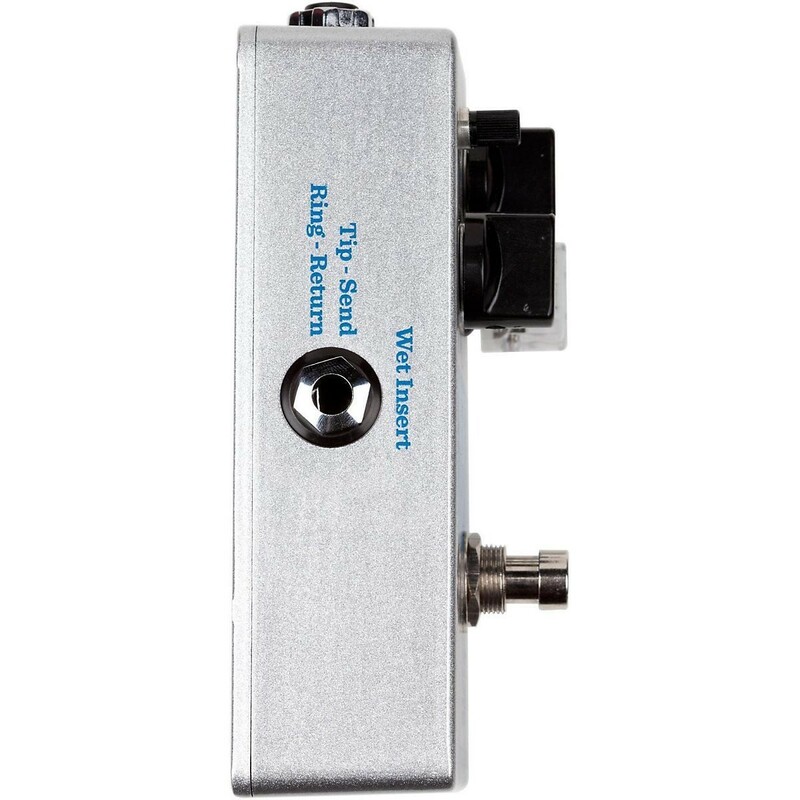 Responsive modulation controls add shimmer and movement to your delay tone - with the Rate and Depth controls mounted right on the top panel so you can easily adjust them even in a live setting. 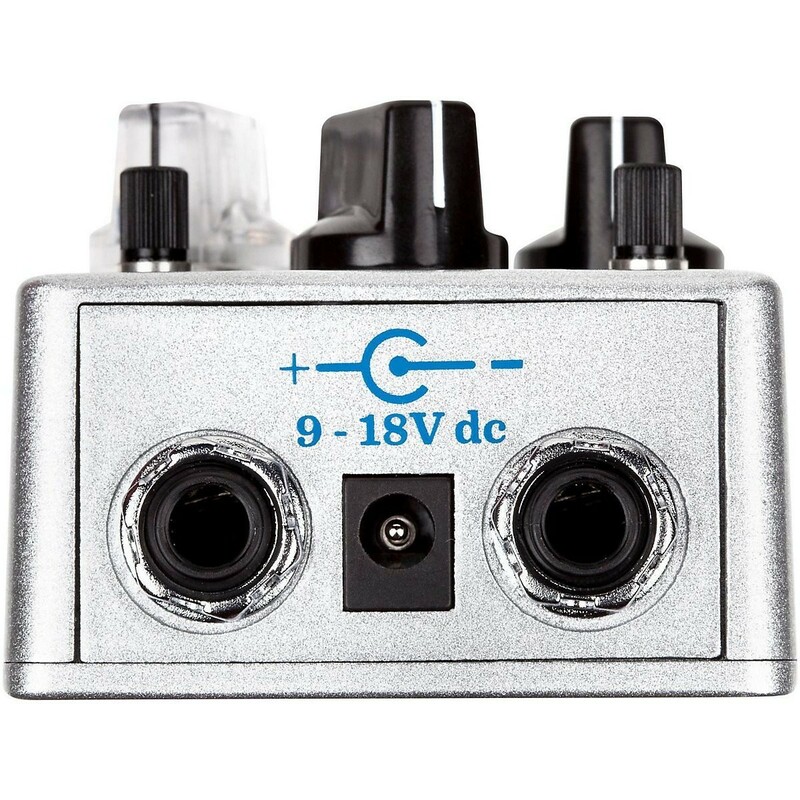 This is helped by the fact that the Delay knob is translucent with a cool blue LED that flashes to give you visual feedback on the delay time you've selected.